The accreditation by Cervantes Institute is the only internationally recognised certification, existent for public and private Spanish language schools. The Cervantes Institute grants the accreditation to those Spanish language schools which once obtained and regularly regain a positive assessment in the following fields: academic activity and the teaching team, the facilities and equipment in the centre, the administrative organization, and students´ feedback. The Cervantes Institute, the official Spanish Government Centre, is a public institution founded in 1991 to promote Spanish language teaching and knowledge of the cultures of Spanish speaking countries throughout the world.Amongst other activities the Cervantes Institute mainly deals with common linguistic and cultural heritage in Spanish speaking countries and populations. The Cervantes Institute is the largest worldwide organization dedicated to Spanish education. There are currently Cervantes representatives in 90 cities in 43 countries on 5 continents. There are also 2 central offices in Spain, the headquarters in Madrid and the head office in Alcala de Henares. 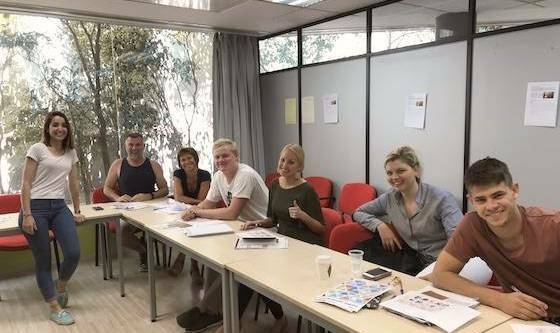 What are the advantages of choosing to study Spanish in a Cervantes accredited school? Uses a variety of methods in order to gather different opinions of the participants.